E85 premix can be an issue. the typical 2 cycle oil that many of us used w gasoline often does not mix (stay in solution) w ethanol. also, alcohol requires a lube w a bit more backbone. finally, many are using a caster bean premix primarily because it does have outstanding lube abilities yet caster does deposit a sticky substance on the intake port walls, rotor faces and if used either in too large a ratio, or idled a lot, can cause side seals to stick. i know this to be a fact from a number of motors. this does not mean that it doesn't work, it is just that you will end up w sticky internals. pls do run what you wish, i am only offering alternatives. i recently attended the largest racing trade show in the world and made it a point to speak w most of the oil companies re this issue. i did post this in the other thread but it is lost as post 33.
contain no caster component . 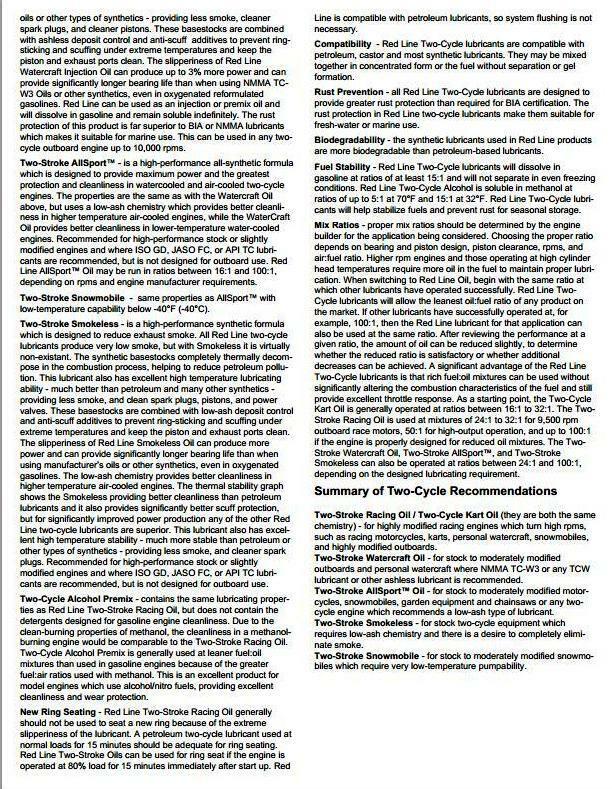 here are three caster-free synthetic oils that absolutely will stay in solution w ethanol and methanol. 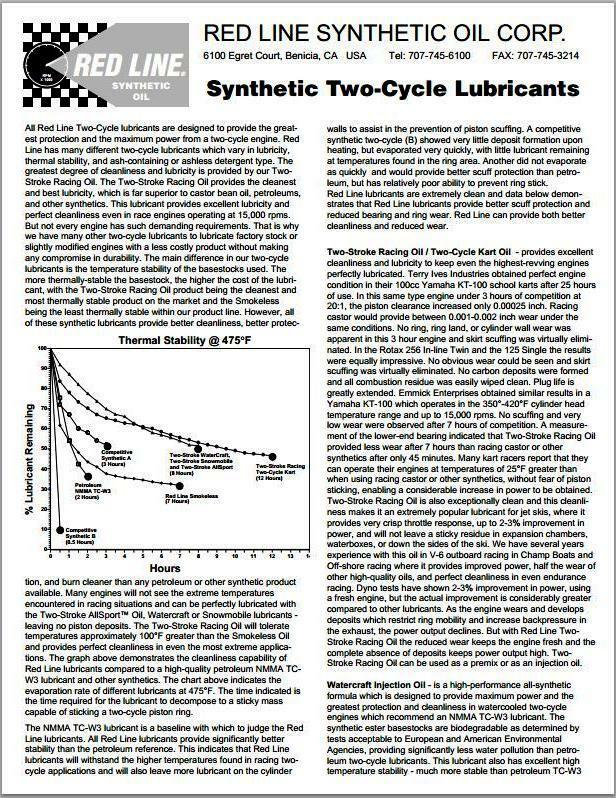 i spoke w Scott Wieland, Senior Staff Scientist CLS for Valvoline. Valvoline has recently come out w a new line of products for racing. 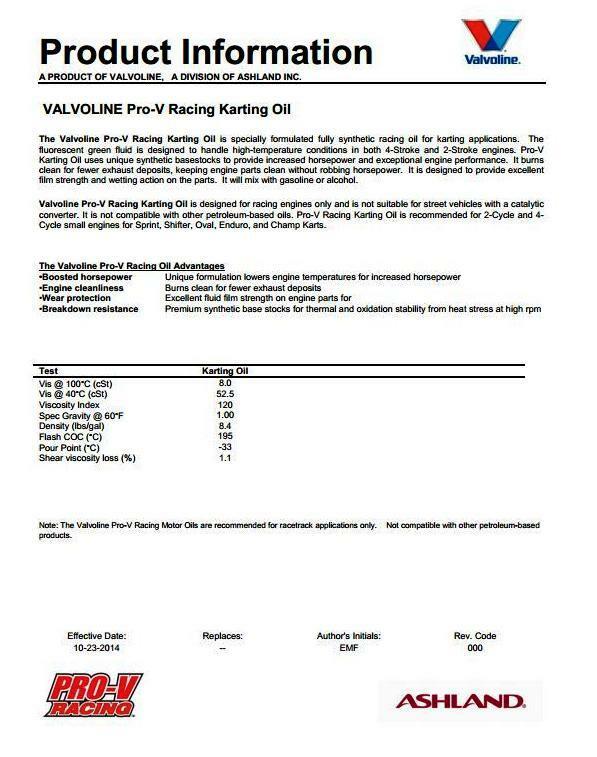 the PRO-V line.... among them is PRO-V Racing Karting Oil. it is a new product as of Oct 2014. it will stay in suspension with both gas and alcohol and will provide proper lube strength. i am very impressed w my conversation w Scott. check out Valvoline PRO-V for more info. PN is 858545 for a 5 gallon pail. Last edited by Howard Coleman CPR; 01-10-15 at 02:11 PM. i used the Valvoline product March/April this year around 550/575 and did not like the wear on the rotor housings. i believe it needs more lubricity. i am now using the Redline 2 cycle Alcohol oil and have found my premix. i also have a number of customer E85 engines that have been running it w excellent results. i used the Redline 2 cycle oil for 4 years around 500 hp (pump gas and 1500 cc of meth) and there was virtually no wear in the engine so i am back in the Redline camp. If one were to run a rotary aviation OMP adapter, would you still recomend using one of these products for the resivoir (assuming no premixing in the gas tank)? Or would a more traditional two-stroke oil be OK? 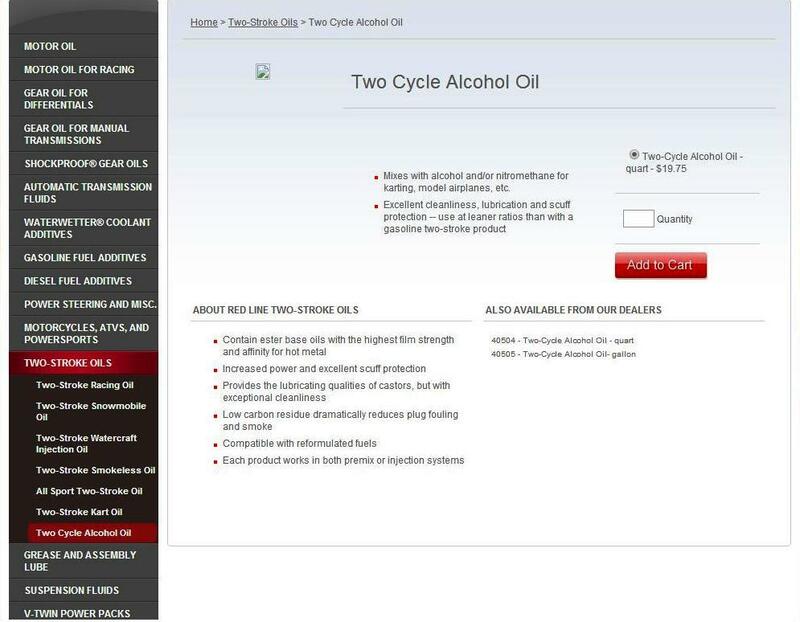 assuming you are running E85, a big yes on the Redline 2 cycle Alcohol oil for your RA setup. you want the Alcohol oil for E85 of course. I've been running B100 biodiesel as a premix as I have posted in another thread here. I don't remember how many miles I got on it before I finally tore down the block to build my current high compression turbo block. But, there were no signs of inadequate lubrication, I was doing about 1.3oz per gallon, and no sticky residue as associated with castor. Currently I'm running it quite a bit heavy during this new break-in, approximately 2+oz:1gal. It also shows no signs of separation from the E85 during extended periods of sitting. Last edited by Pred; 10-04-15 at 07:33 PM. I'm very curious as to the circumstances regarding this. Was it a fresh rebuild to begin with? Approximately how many miles in those two months? Any contributing factors (i.e. not the oil) that you can think of? I ask as I'm given to understand that even using engine oil on a DD that's run hard won't show any appreciable wear in only two months. thoughts on castor 927 oil? no, it's one of the worst for hard deposits. 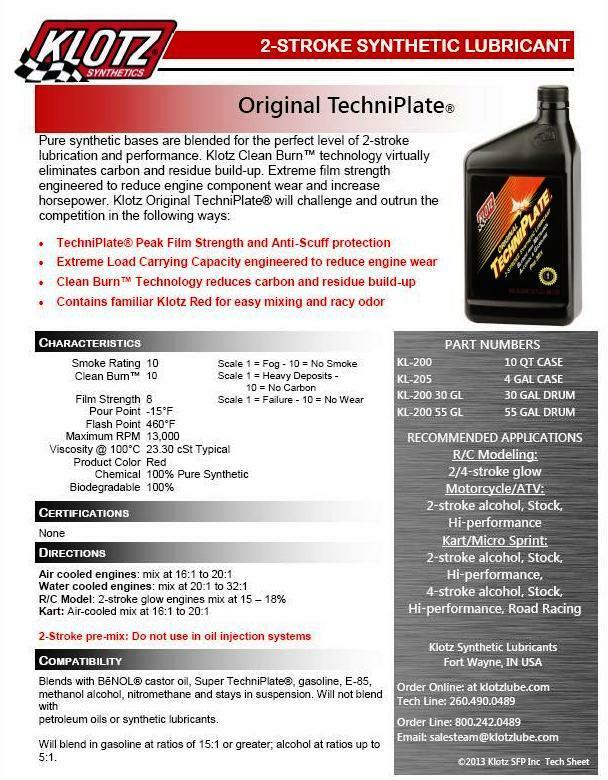 Have to agree I was using this and it did develop hard deposits and I had to completely clean my fuel system out. Been using Redline Alcohol have not had any problems no separation or deposits. It sits for over a month in the tank sometimes before I start it up just to cycle and its perfect and I mix heavy 2-3oz per gal. My buddy uses the Castor 927 and swears by it but he is straight methanol and the fuel system is always emptied out after racing. i ran Redline 2 Cycle Alcohol Oil in my motor and two of my customer motors and we all had the tarry deposits, especially on the primary intake runners. previously i had used a caster based (Benol) product and a specially mixed Valvoline item and all 3 created the same issues. i might have still be running E85 if it had not been that all four motors ended up w significantly scratched rotor housings and seals. i am back on gas and meth as AI. if i were looking for more than a touch over 600 i might still run E85 but i do think that a properly set up gas motor will do fine until the 625 area where alcohol begins to pull away.